Neha joined Indxx in 2014 and heads the firm's Business Development & Strategy team. She has been instrumental in developing many of Indxx's thematic indices. 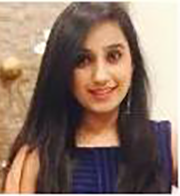 Neha started her career with Ernst & Young as a Research Analyst. She has a Bachelor's Degree from the Shri Ram College of Commerce, University of Delhi, India.